Studies in the Philosophy of Healing by Boger C.M. This is a compilation of Dr Cyrus Maxwell Boger’s (1861-1935) articles from the Recorder and from his other writings. Boger writes and explains topics like Vital Energy, Language of Diseases, Finding a Similimum, The Undeveloped Picture, the Sick Child and many more. The present day physician can derive benefit from the master’s experience in the areas which seem difficult or incurable. If every symptom is a little picture reflected from the central disturbance, a composite picture will most nearly depict the whole. This is what we mean when we speak of the symptom complex or the totality of the symptoms. Energy, as we understand it, is of a three-fold form., spiritual, dynamic and physical. Energy is a store-house of vitality which exists in all nature and it shall be our special effort to so train you that you may avail yourselves of the power which we call energy. The first step in the study of homoeopathic science is not always the same, but as obvious things make the strongest appeal many converts have been made after seeing or experiencing the power of similia. Such clinical demonstrations keep for us a perennial interest. True homoeopathy only teaches medicine in its fullness, all other methods are largely unmitigated delusions that pander to ignorance. All the signs of disease expressed externally we find by observation of the so-called objective symptoms. Disease expresses itself also subjectively, the so-called subjective symptoms, which must be obtained from the patient. Similia Similibus Curantur is a phase of the law of action and reaction on a higher plane. It is an extension into the superphysical where stabilization occurs, as here, through the conversion of energy. In other words health cannot be regained until harmony in the expenditure of vital energy again prevails. The main features of some remedies greatly resemble the broad outlines of certain diseases, as Belladonna and scarlet fever, Lachesis and chorea major, Lachesis and typhus fever, Phosphorous and pneumonia, Antimonium tart and capillary bronchitis, etc., etc. This similarity lies at root of the idea of specific, but even so, instances are constantly occurring in which some outstanding indication takes the clinical case entirely out of the specific class. The ability to pick from each life history the striking and unusual features which crop out and stick to the patient through many forms of sickness and then to find their counterpart within the pathogenesis of some remedy, means the power to cure radically where other fail. A very partial exhibit of nature’s distress necessitates making the most minute examination of all of the antecedent as well as the present symptoms, along with their modifications and connections in order that an accurate and complete picture thereof many be available before the search for a similar among our drug provings is undertaken. Hahnemann called attention to the bizarreness of symptoms, as being definitive, whether of direct or correlative origin. While in acute disease this differentiation is easier, in chronic ones our knowledge of the outcroppings of the miasms is more fragmentary, making it harder to separate common from individualistic manifestations. Changes of personality and temperament are particularly to be noted, especially when striking alternations, even if rare, occur; the latter often supplant or by their prominence may obscure the physical manifestations and consequently correspond to but few remedies. We are often compelled to choose the remedy from the standpoint of diagnosis, much as this should be avoided because of the numerous pitfalls sure to be encountered. The primary elements of a given clinical picture are ordinarily not found in the same combination in the pure pathogenesis, but must be pieced together from the symptoms contained in several provings, which means that no one person can possibly show the whole clinical picture of any one disease nor can he exhibit all the phases of action of any one drug. Should the case be taken correctly, the similar remedy found, an accurate diagnosis made and whatever else is needful by done, it will all avail but little, if we do not know how to manage the case. Children act their symptoms and well they do it, too; but you must be prepared to read the acting, or your defeat is certain from the beginning. In cancer cases, from the beginning there is the most urgent necessity to choose with the greatest conscientiousness and care the most fitting from the following recommended homeopathy remedies. A study of Causticum will soon show you that it is a very weakening drug. It causes such severe prostration and weakness to come on that there is a constant desire to lie down and rest. Cobaltum homeopathic remedy symptoms and cases from The Studies in the Philosophy of Healing by C M Boger. Coccus cacti suits almost any paroxysmal cough when the attacks are violent but not very close together, and are attended by much redness of the face and a general sense of feeling too hot. Gymnocladus has a keynote that tongue has blue colour, which is found in very few homeopathy medicines. The common vision of Magnesia carbonica portrays sour, gassy babies with cutting colics and greenish, frothy, floating stools. The typical Magnesia carb. patient is a pretty sensitive chap with a restless flair as well as a desire to keep warm. He feels changes of weather and cold winds acutely. Swan gave us the nosode Syphilinum and later Abrams reinforced the argument, but like other isopathic remedies it has not taken a very strong hold on the profession. Cases which reinforce why homeopathy is the ideal choice to treat all diseases. Therapeutic remedies for climactric symptoms or problems during menopause period. Homeopathic remedies for Panaritium. A list of indicated remedies with symptoms. 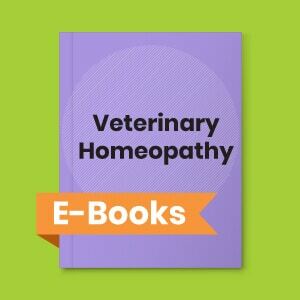 Clinical cases by Boger that show the effectiveness of homeopathy medicine in treating various diseases. In chronic diseases it is useful to pick out the peculiarities of each past illness, combine these with the unusual features of the present complaint and then seek for the remedy which covers the combined feature, always bearing in mind that the latest development most likely contains the real deciding symptom. The pregnant state so profoundly affects the mental sphere that it furnishes the most reliable indications of all and it is his bounden duty to scrutinize the mind with the utmost care.